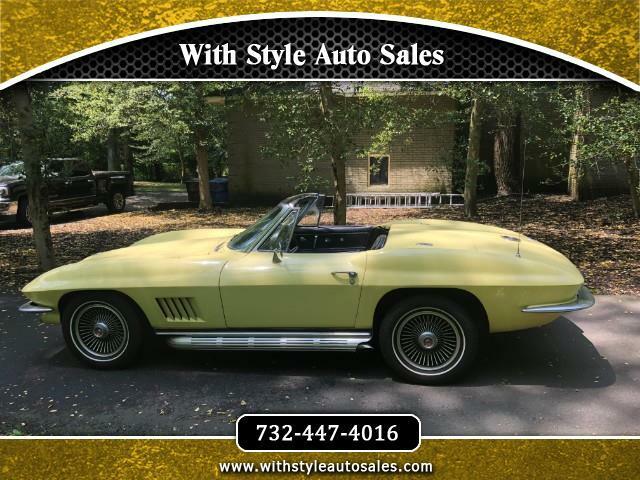 1967 Corvette Stingray Convertible 327 turbo fire engine, great condition inside out. ONLY 7K ORIGINAL MILES !!!!. Driven ONLY summer time - no rust. Rectley big engine job . Car is in great condition inside out with no known issues. Including hard top in matching color in outstanding condition - very rare cost $5000!